In 1934 a 25 year plan for conservation was prepared for the state of Iowa, but it became apparent that the state and federal governments would be unable to provide all of the conservation and outdoor recreation areas and facilities needed. In 1955 the 56th General Assembly of the Iowa Legislature passed the County Conservation Law, Chapter 111A of the Iowa Code, making it possible for county residents to establish their own resource management agencies. In January of 1965 the Clarke County Board of Supervisors, in accordance with chapter 111A of Iowa Code, and the wishes of the residents of Clarke County, established the Clarke County Conservation Board and appointed the first five board members. Since 1965 Clarke County Conservation Board, with the help of other conservation agencies and community organizations, has acquired and developed four county parks, three wildlife areas, and one timber reserve, making over 600 acres of land available to the residents of Clarke County and the general public for outdoor recreation. Clarke County Conservation Board meets at 5:00 PM on the first Thursday of each month, at the Conservation Board Office at East Lake County Park. The meetings are open to the public and visitors are welcome. Scott was raised in Clarke County, Iowa and graduated from Clarke Community High School. He attended Northwest Missouri State University and earned a degree in Wildlife Ecology and Conservation. After college Scott worked as a Park Technician for Clarke County Conservation for three years. 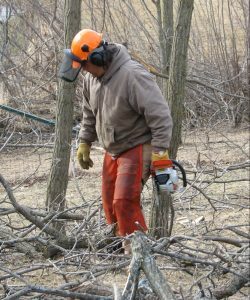 For the past 16 years Scott has raised and managed whitetail deer. 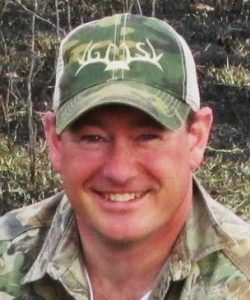 He’s served on the Board of Directors for both the North American Deer Farmers Association and the Iowa Whitetail Deer Association. Scott is known across the nation for his presentations on whitetail deer health and genetics. When the Clarke County Conservation director’s position became available, Scott saw it as a great opportunity to resume his career in county conservation. In his spare time Scott enjoys hunting, trapping, fishing, beekeeping, and woodworking. Scott and his wife, Lorie, have two sons. Chris graduated from Clarion High School in 1979, where he participated in High School Rodeo. His work experience includes rodeo, training and showing horses, and purchasing livestock. In 2007 he joined the Clarke County Conservation Board staff. In his off-duty time he continues to participate in rodeo, to train and show horses, and to work with his livestock.